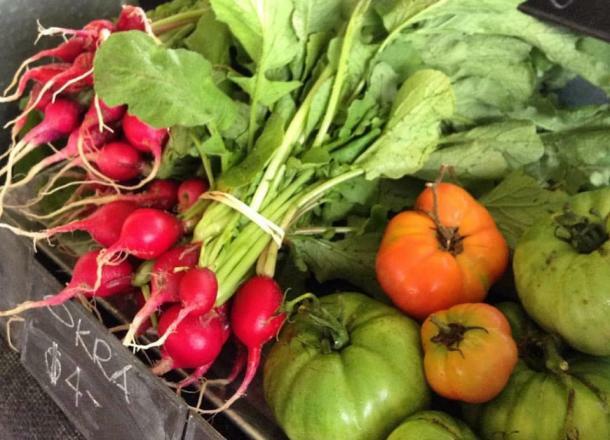 Farmers Market featuring locally grown, sustainably produced vegetables, fruit, meat, bread, preserves and plants. The market is now open WEEKLY on Saturdays, 9:00 am to 12:00 pm, at the Marketplace Pavilion, 222 East Hancock Street, Milledgeville, GA, 31061. Support your local farmers!